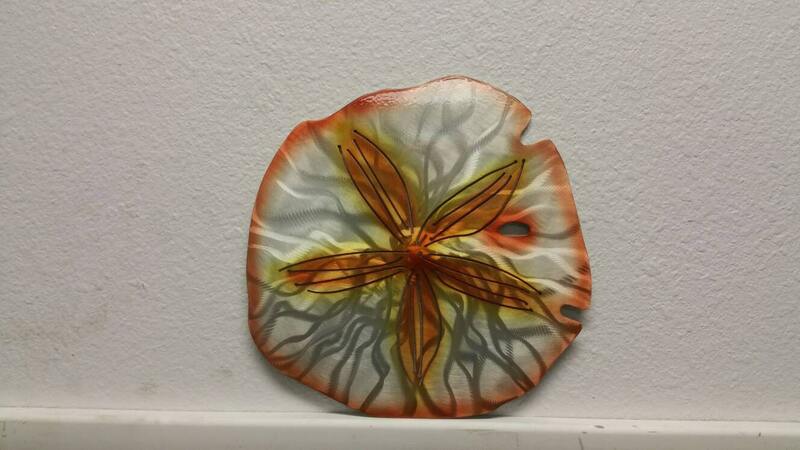 Our gorgeous Sand Dollar Wall Art is an eye catching, custom piece! 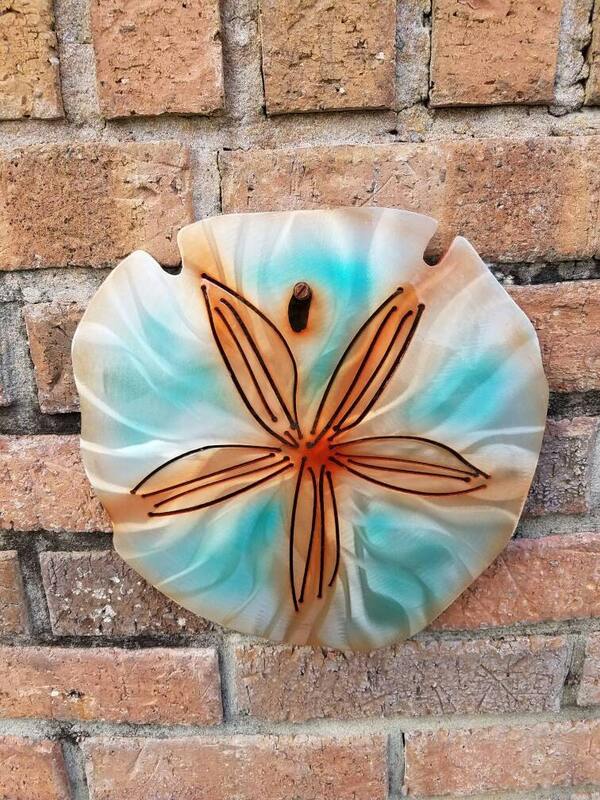 Perfect as beach house wall decor, our handmade ocean decor is really a labor of love. 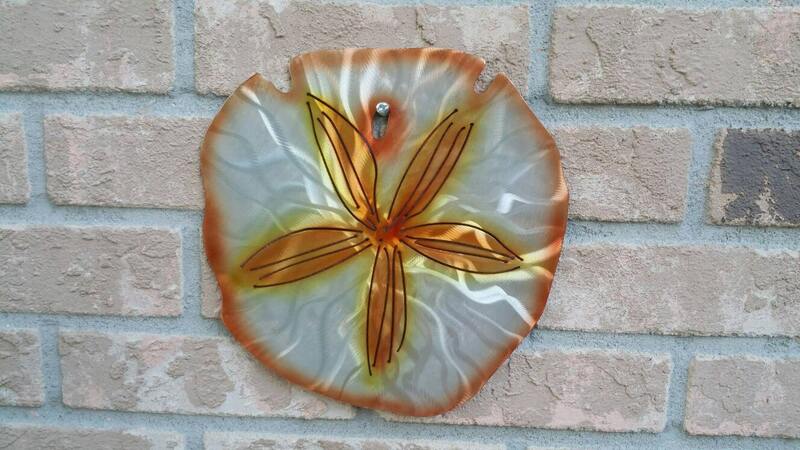 Each metal sand dollar is first plasma cut from 16 gauge aluminum. 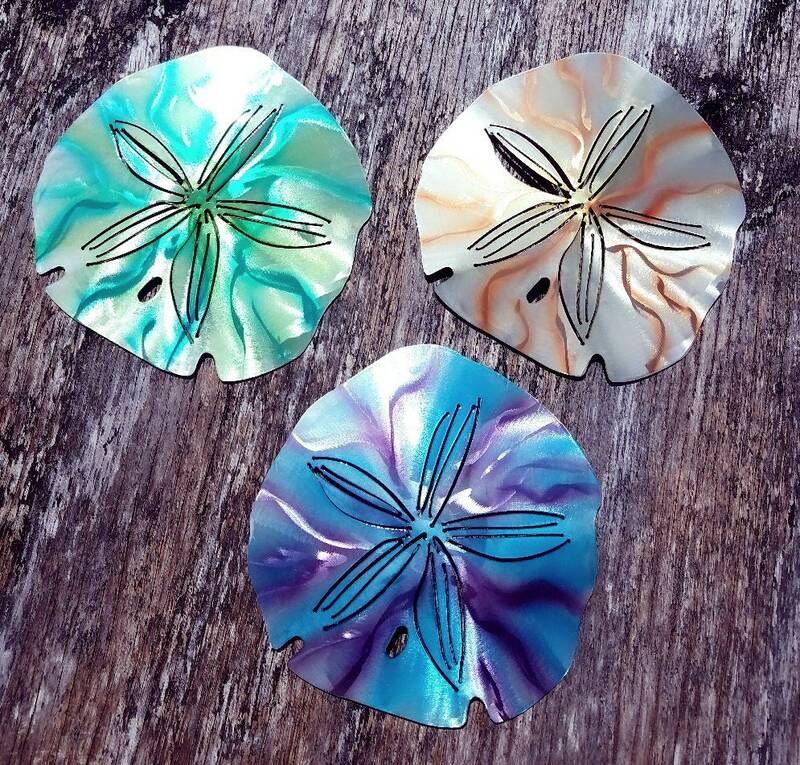 Then, the sand dollar is hand ground to give each a unique depth and dimension followed by using a planishing hammer by hand to give a rounded, 3D shape to the aluminum. Next, we use a special dye which adheres to the metal and finally, we use a clear powder coat to seal the color and protect the metal. 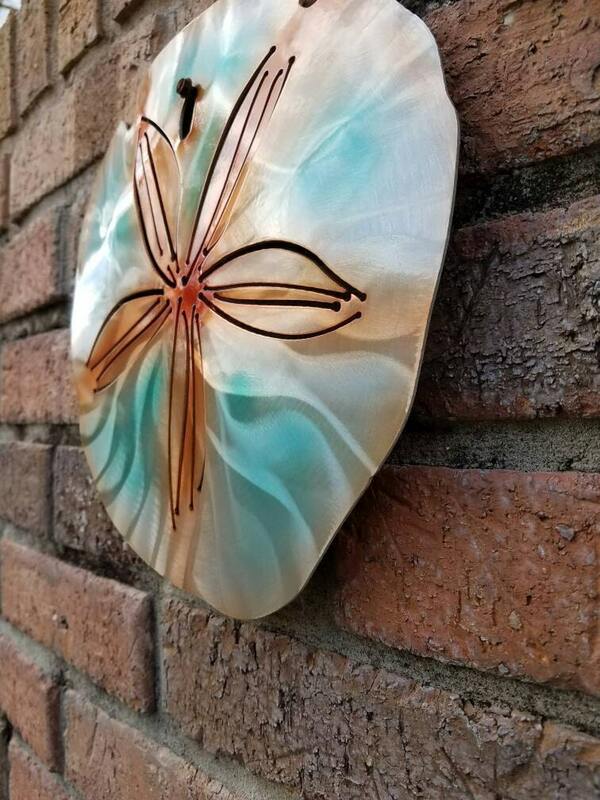 Perfect for people who struggle to find art that won't fall apart once exposed to the elements, our aluminum pieces aren't susceptible to rust as other steel art pieces are. 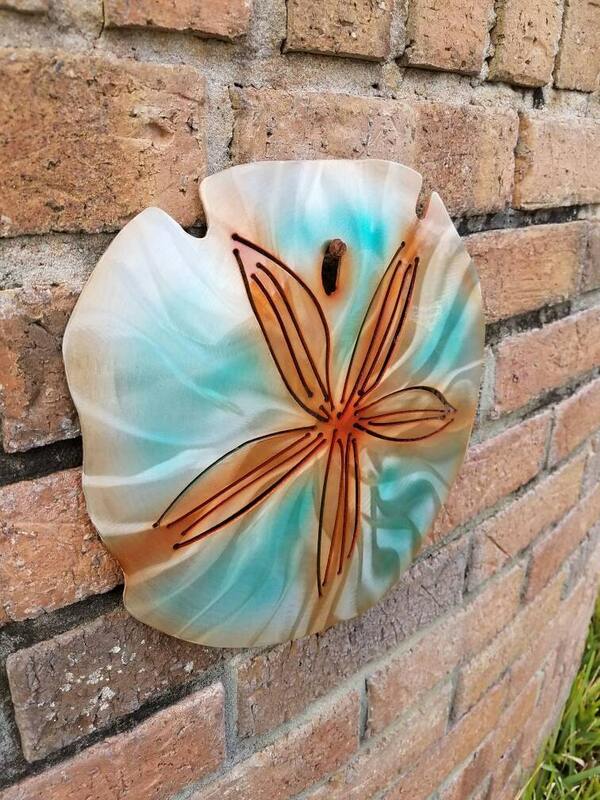 These qualities make our pieces an excellent addition to your beach house, outdoor patio decor, or a perfect gift for that beach lover in your life. Wherever you decide our metal art belongs, whether it's your home or office, each of our aluminum art pieces will certainly be enjoyed for years to come! Shop owners were amazing! I absolutely loved this piece! Purchased as a gift for my mother’s birthday. She has it hanging in her beach house and loves it. Looks as good as the picture! Fantastic workmanship, quick shipping, and great people to work with. Another Home Run.